Alrighty, football is here and you know what that means: Barspotting! For those of you not familiar with how Barspotting works, I basically tool around town and find places to watch college football then rate whether it’s worth it to check it out yourself. This year will be different because I’m in a whole new town. So I get to find a whole bunch of new bars review and also get the added benefit of finding my way around town. 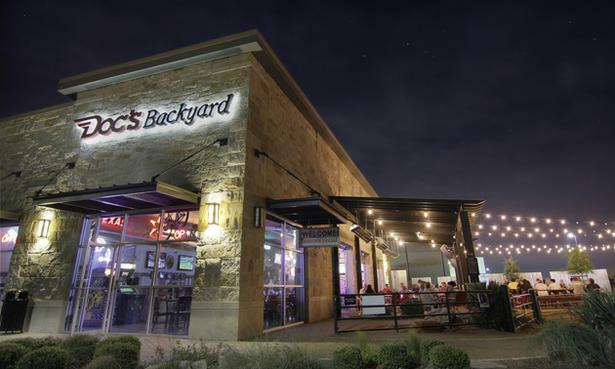 The first ever Austin edition of Barspotting will feature Doc’s Backyard in Sunset Valley, well, because they are real close to me. Not only that but they have a supposedly real tasty Chicken Fried Avacado. Let’s check out Saturday’s lineup. Notes: Oh yeah we have a full plate of college football for the weekend! Thursday sees Wisconsin trying to kick of the year in a very tasty way. Now Friday’s got Michigan State trying to do the same thing while there’s a Holy War going on against Baylor and TCU. That should be one helluva game. Saturday morning and afternoon we really don’t get anything too exciting. I mean there’s the Bill Walsh Legacy Game and a bunch of lopsided matchups. Sure there will be an upset here and there, but I’ll save that for the Pick It and Stick It. Meanwhile Saturday night has a couple of mega matchups. First off Oregon will take on LSU in the Jerry Jones Palace in the batlle of the NCAA infractions. While that’s going on, Boise State will head to Georgia to help stamp out hype between one of the teams. Sure there’s the kickoff of the Longhorn Network but who cares really?